This salmon is a family favorite. Whenever I’d come home from college, salmon with a sesame, soy and curry was a pretty predictable request. Usually I’ve only had this salmon grilled, but baked in the oven, it holds in all its moisture and flavor. All you have to do is marinade the salmon, bake it and then cook everything else while the salmon’s in the over. It’s almost too pretty to eat. Need a dinner to impress? 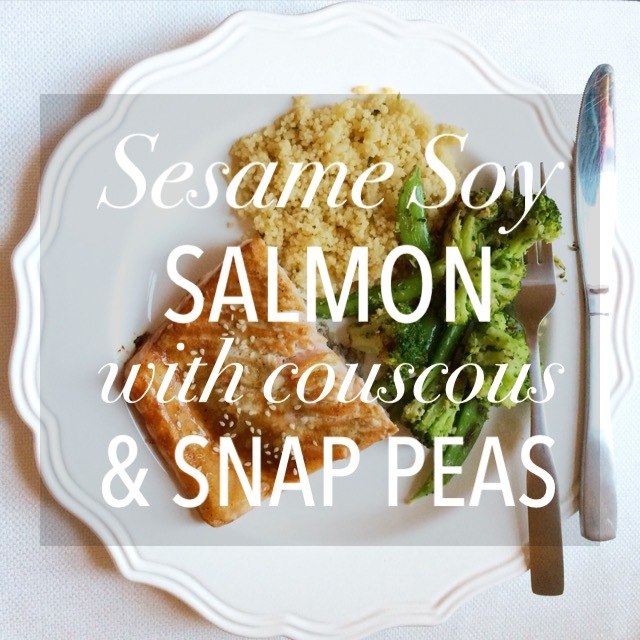 Serve Sesame Soy Salmon with Couscous & Snap Peas. I think I’ve had an Asian cuisine-inspired kick lately. 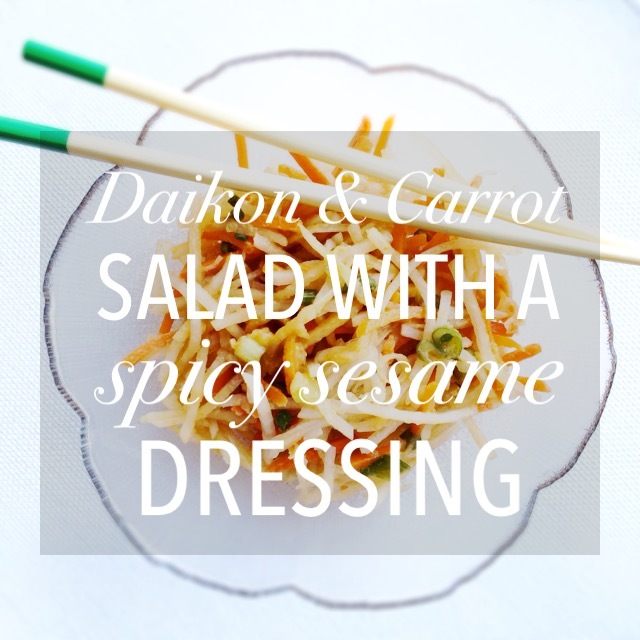 First, the Daikon & Carrot Salad. Then, the Pho Soup. 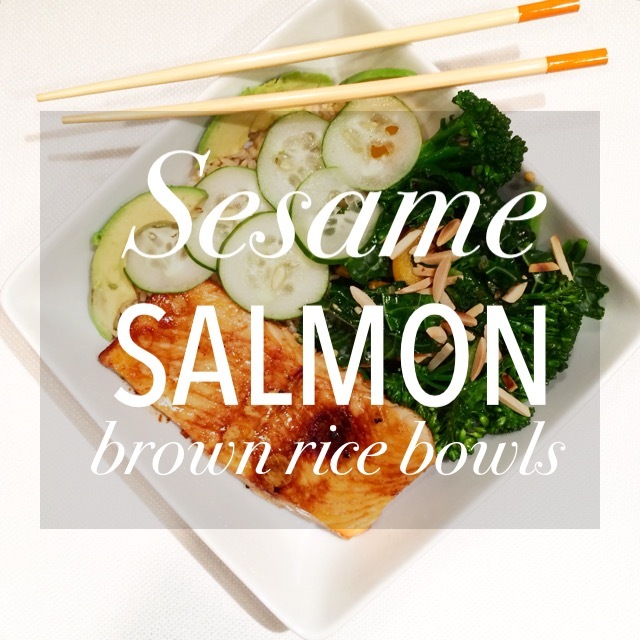 Now, these Sesame Salmon Brown Rice Bowls. This Sesame Curry Marinade for salmon is my go-to all by itself. It’s absolutely delicious, especially on grilled salmon in the summer, accompanying grilled vegetables. It’s my mom’s recipe, and you almost never need to find another marinade because it’s that good. It originally calls for toasted sesame seeds, but she found the seeds mostly burn while cooking so she substituted sesame oil. It may even be good as a salad dressing — who knows! As one of my last meals at home before moving to Boston, my mom combined this Sesame Curry Marinade with salmon, brown rice and fresh veggies. What a keeper. It was somehow light and heartier, flavorful and packed with veggies. I’m sure this will crop up in the future with new vegetable combinations.